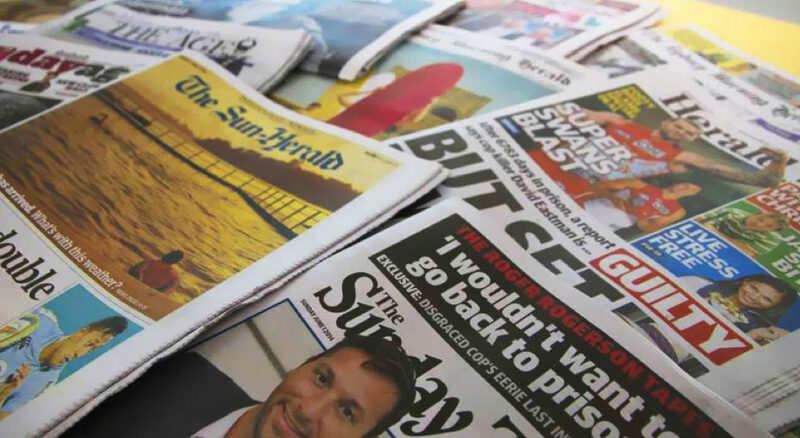 A total of 13.1 million Australians, or 71% of consumers, read news media in print, which remains the preferred channel for news content, according to the latest emma (Enhanced Media Metrics Australia) data for June 2017. On digital platforms, such as smartphones, tablets, mobiles or PCs, news media was read by 13m people, or 70% of the population. Across all platforms news media is read by 16.7m, or 90% of Australians. Metro newspapers were read by 10.9m people, or 59% of consumers, over the same period. Regional and community news media brands were read by 7m people, or 38% of the population during June. Regional newspapers were read by 3.2m people (or 17% aged 14+), while community newspapers were read by 4m (or 22% aged 14+). “Our news media industry continues to show great stability, despite the plethora of content options for consumers, evidenced by the latest emma data. News media provides mass reach, with highly engaged audiences who seek trusted, quality journalism. 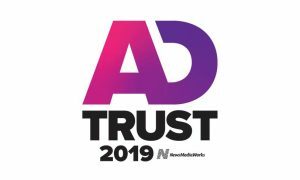 For advertisers, news media is a premium, brand safe environment and therefore a strong proposition,” NewsMediaWorks CEO Peter Miller said. 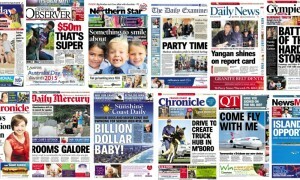 The Sydney Morning Herald is Australia’s highest-reaching title across all platforms with 5.04 million readers. 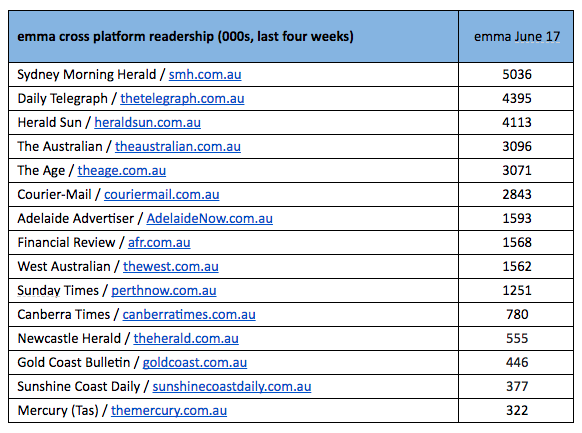 The Daily Telegraph followed, reaching 4.40 million readers and the Herald Sun on 4.11 million (see table below).